Halloween is fast approaching. And sure, you can go the classic route and dress your child up like a pumpkin...or...you can make their costume next level and dress them as the Pumpkin King! Of course, your little babe may be too little to truly appreciate the magic of Tim Burton's Nightmare Before Christmas, but you aren't (and everyone knows baby costumes are more for you, anyway). Your little one will steal the hearts of all those they encounter as they traipse around the neighborhood in this costume. After all, your child isn't yet tired of Halloween like Jack—they want to live in this world of pumpkins, ghosts, and ghouls all the time! 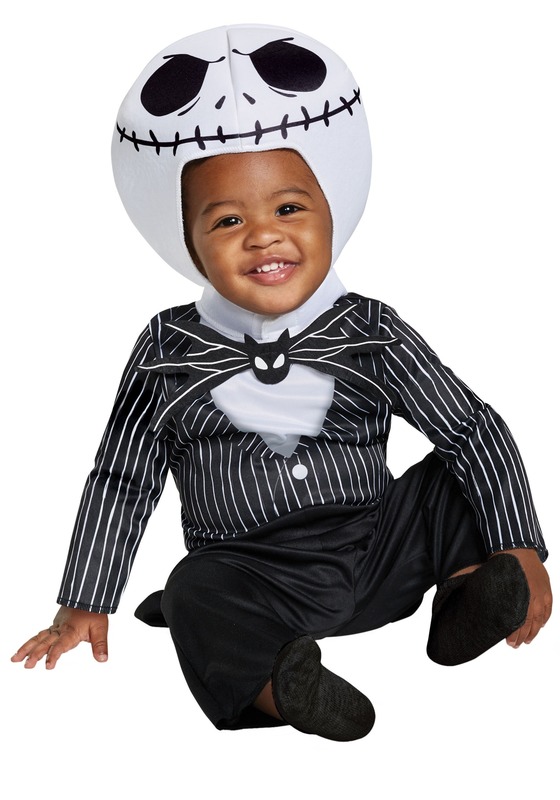 Bring this classic holiday tale to life, with your littlest love as the star of the show (naturally), with this Nightmare Before Christmas Classic Jack Skellington Costume for infants and toddlers! We don't care what the title says, there's nothing nightmarish about this little look. Even Jack's head—which is supposed to be a bit spooky—just looks downright darling on your tot. 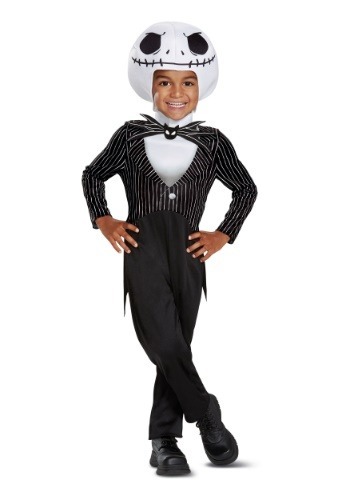 The whole costume is officially licensed, and is comprised of an easy to wear jumpsuit (MUCH simpler than trying to get your toddler into a suit) with a felt bow tie that attaches. The foam hat secures under the chin, so you child can go about being their adorably rambunctious self, without losing their head! There will be no mistaking it—here comes Jack Skellington himself, here to bring a bit of joy to Halloween! Your family may want to dress as the film's whole crew, or perhaps you prefer to let your little one steal the spotlight. Either way, you'll all get a kick out of having your own little Pumpkin King on hand! And we hear they give out all the best candy over in Halloween Town.